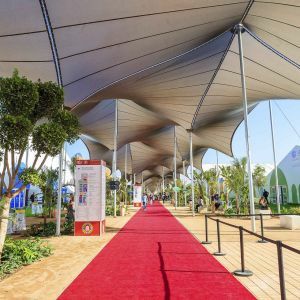 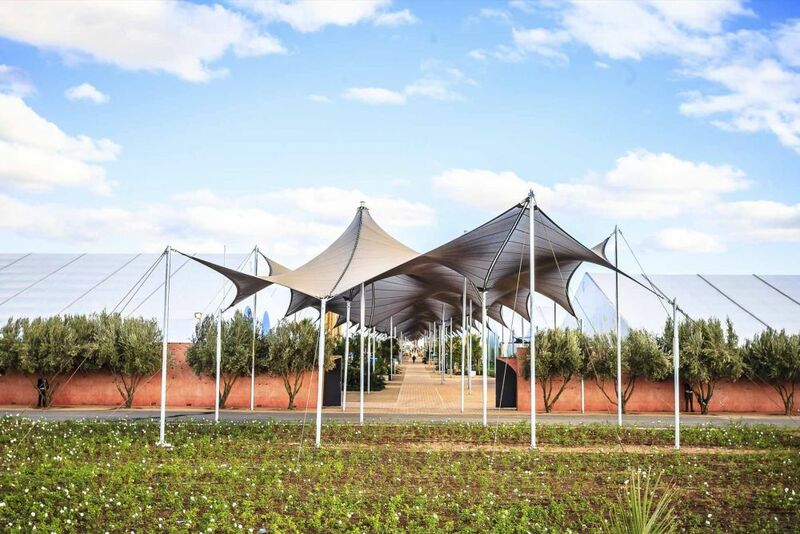 On the occasion of the "Conference of the Parties" (COP22) held by the United Nations in Marrakech on climate change with a total of 197 countries, a space of 68,000 square meters has been built for conferences. 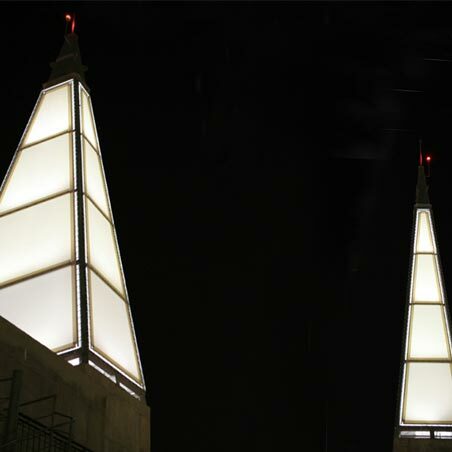 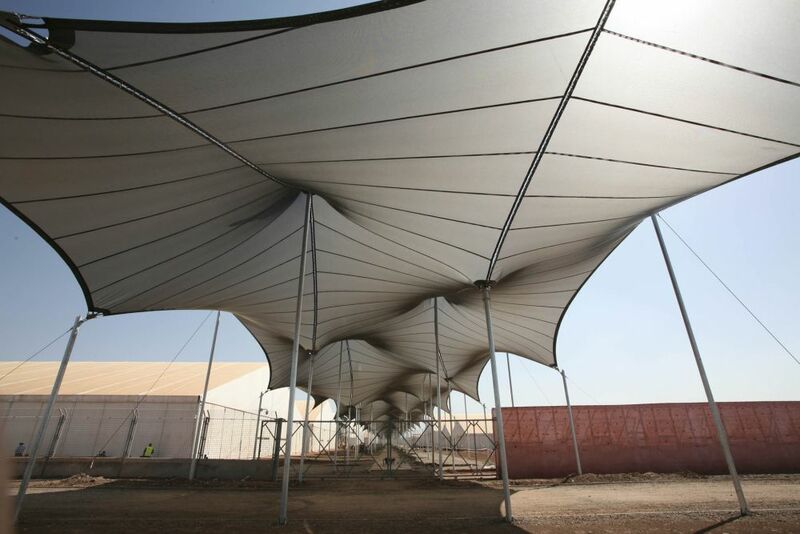 It is made up of removable and reusable structures. 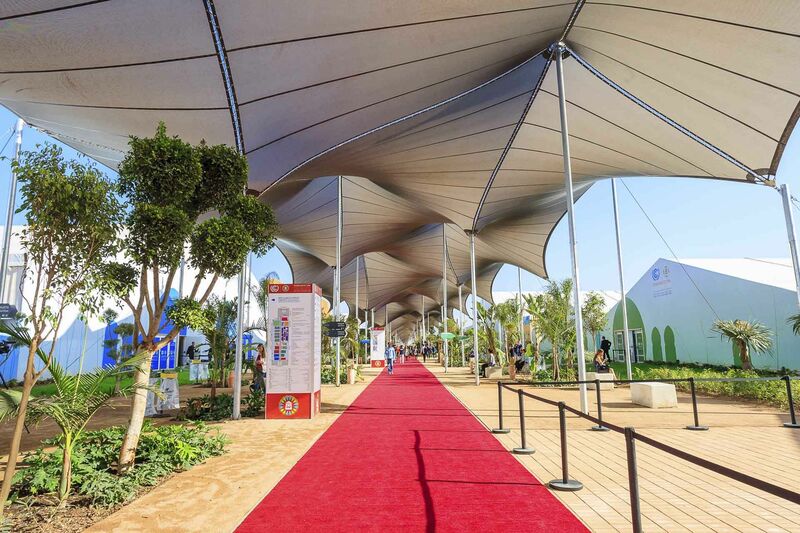 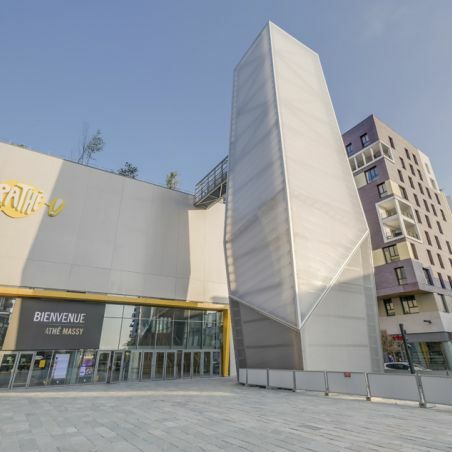 On the central alley and as a connecting line with the different pavilions, a large tensile roof has been made, "La Canopée". 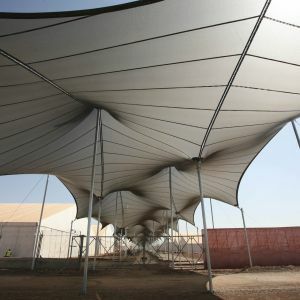 A corridor of more than 18 meters wide and 684 meters length, covered by a structure with a large PVC cover. 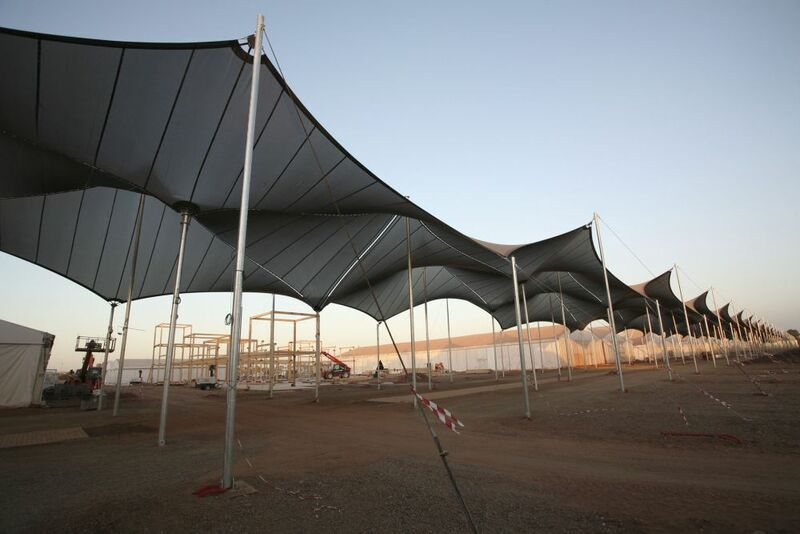 This project started from a premise; that the structure has to be quick to be fabricated, installed and at the same time reusable. 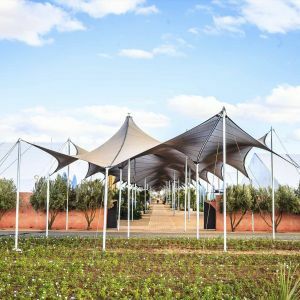 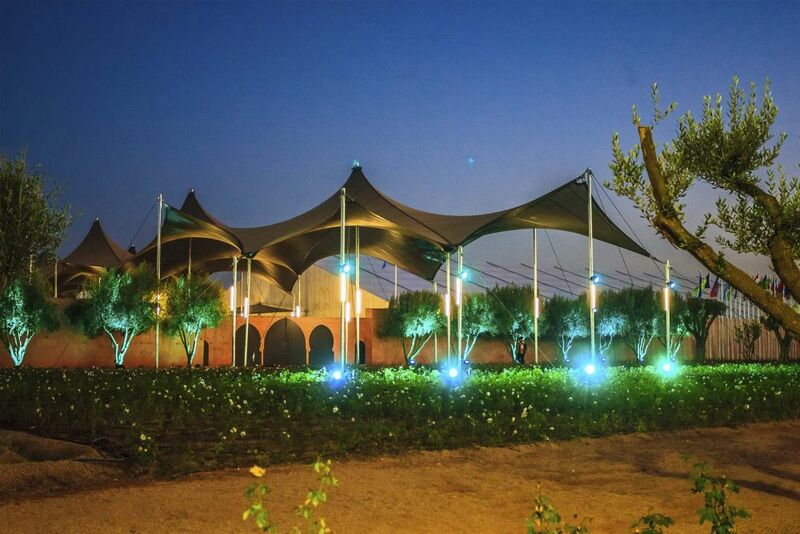 The Textile Architecture Department of IASO achieved the goal in only 3 months; by designing, fabricating and installing the tensile structure which allows to be reused in other locations. 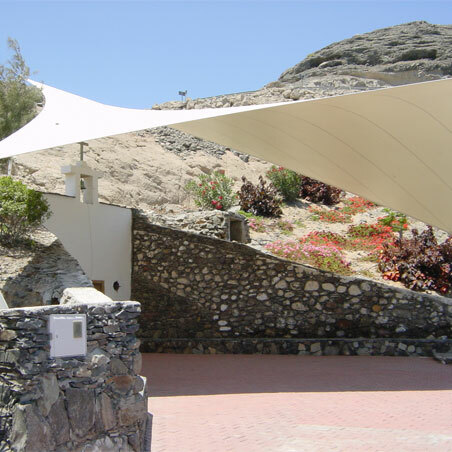 The achievement of this challenge was made possible by the Integral Project methodology applied by IASO. 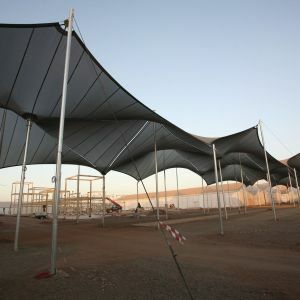 This method allows for greater coordination in all processes and, consequently, a more effective and efficient manufacturing and assembly chain. 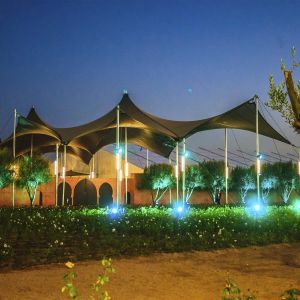 The structure stands out for its irregular geometry and for the mesh fabric with laminated transparent PVC. 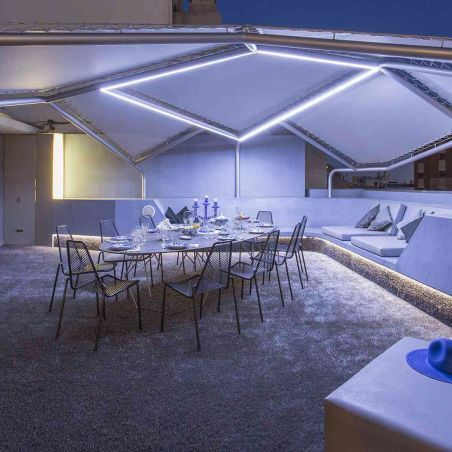 The fabric is an anthracite mesh and plays an important role in this work due to the impermeability and transparency of this PVC, which makes it more transparent than a dense fabric. 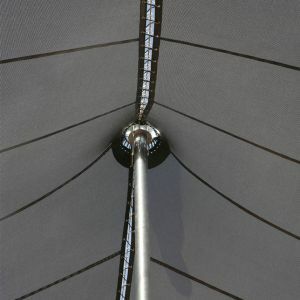 The characteristics and the composition of this fabric offer a diffusion of colours, which makes it more beautiful when viewed from the inside. 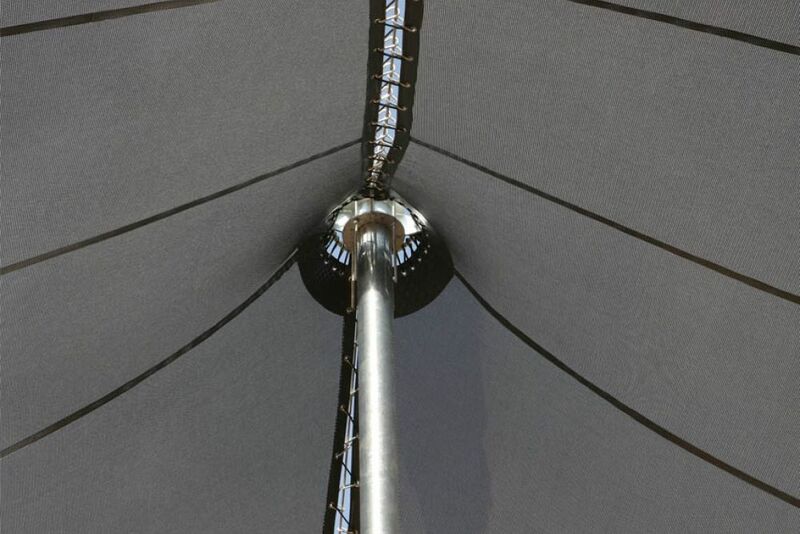 The geometry of the cover, with high and low points, recalls the Berber's primitive tents.